Don S. from the great state of Texas recently shared some updates of his award winning 1937 Ford. Don completed the car November of 2012. He entered it in the ISCA Dallas Autorama Show in 2013. “We were successful and took home a few awards for all of the hard work. Since the debut, I enjoy driving it every chance I get. I drive my 1937 Ford to about 25-30 shows each year.” Said Don. 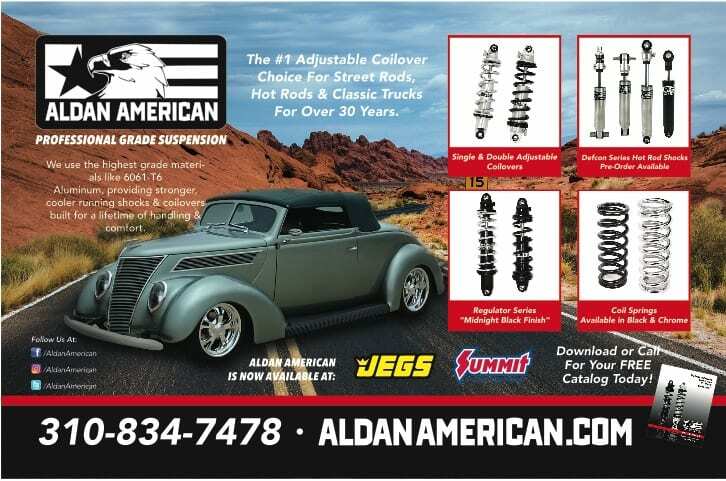 Aldan Coilovers (Phantom Series) were just what Don needed to create the perfect ride in this 1937 Classic Ford. 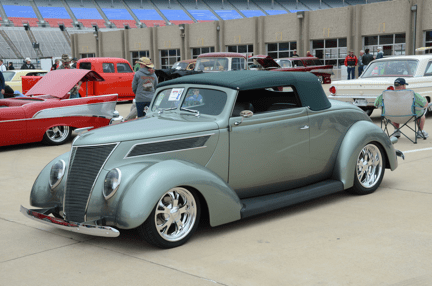 Last March we were invited to display in Summit Racing’s booth at The Lone Star Goodguys event at the Texas Motor Speedway. “This is a home built car along with the help of some great professionals such as Roger Lynskey, Brian Vastine, Andy Martin and George Jezek, along with many other friends. But I could not have done anything without my wife and my family,” said Don. Car has 355 HP 350 ZZ4 motor, 700R4 Trans, 9″ ford rear axle. The color is a 2002 VW color called Fresco Green. Interior is custom dyed leather in “Eucalyptus” color. Aldan American Phantom Series coilover shocks.